How can I send a fax if I don't have a fax machine? 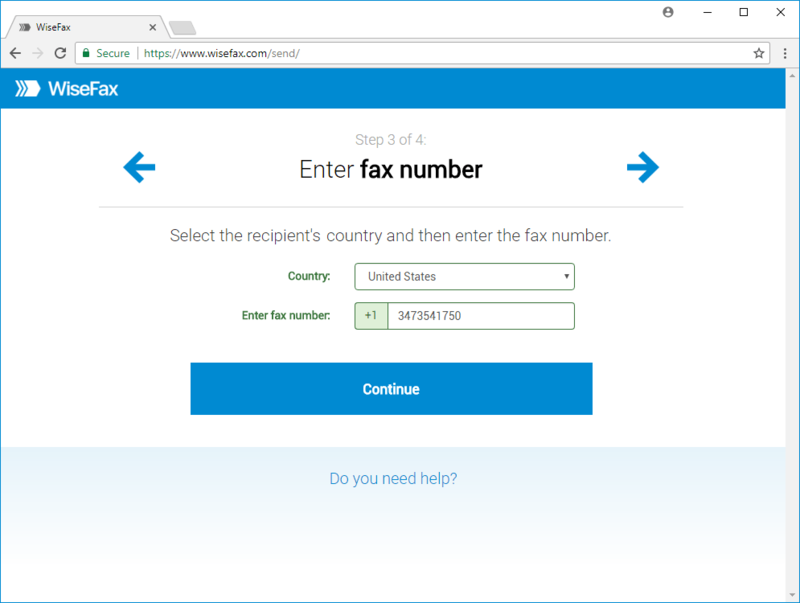 If you are asking yourself “How can I send a fax without having a fax machine?” there is an easy solution by using an online fax service. 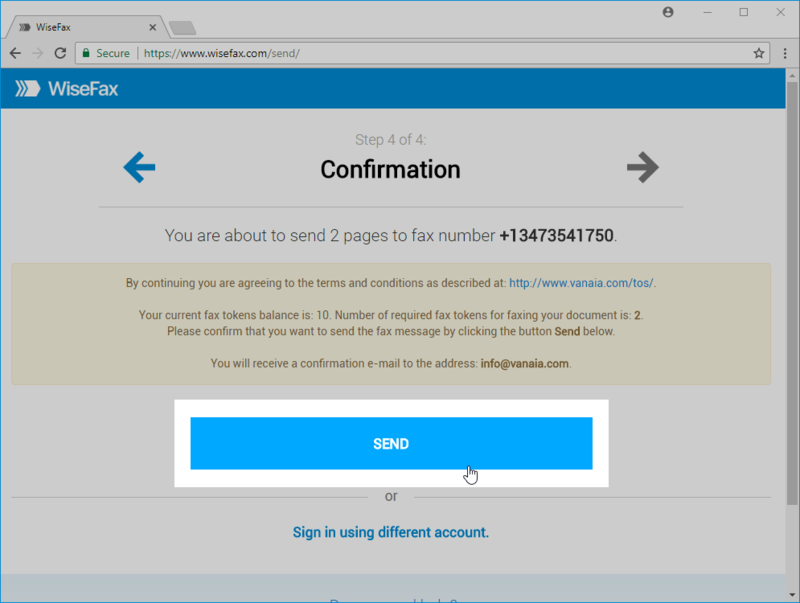 There is no need for fax machine, but sending documents will be quick, easy and secure by sending fax with WiseFax from any computer or device that is connected to the internet. How can I send a fax without fax machine? 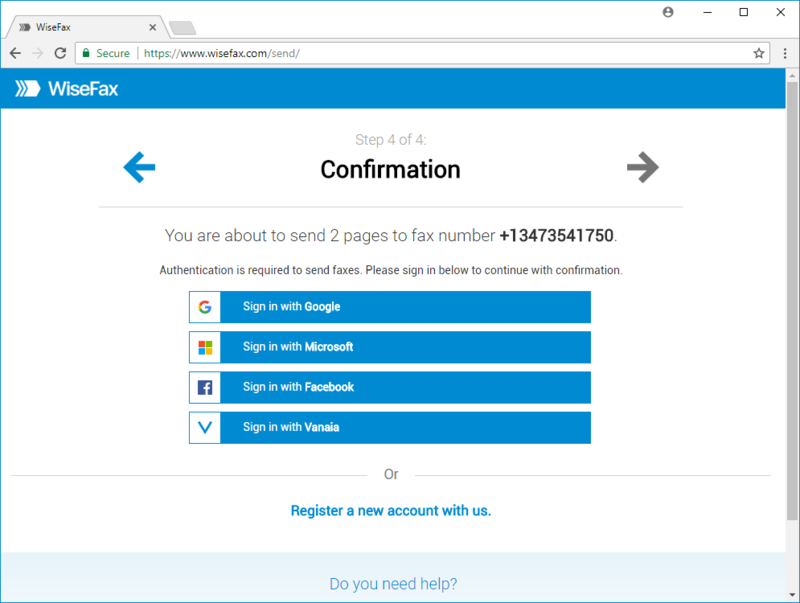 WiseFax is a simple to use website that allows you to quickly, easily and securely send fax from internet. 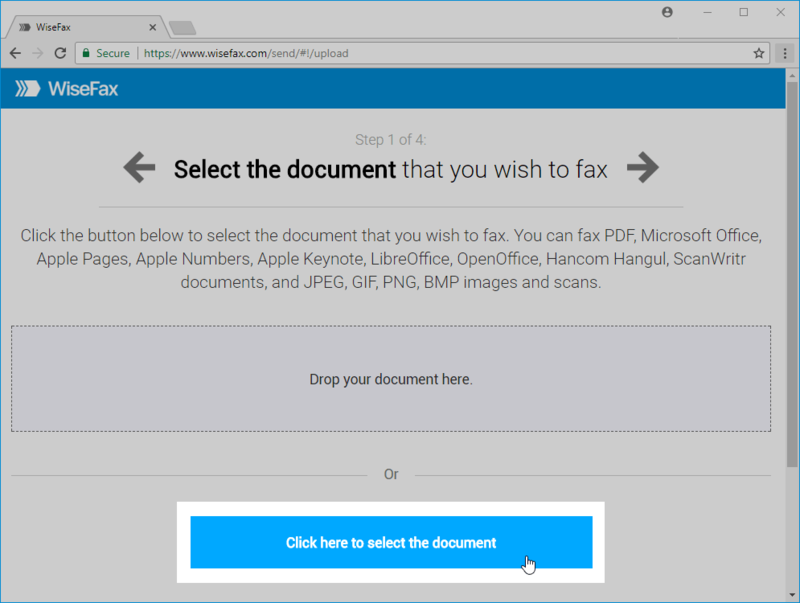 Visit the WiseFax website (link: https://www.wisefax.com/send/), where you can fax PDF, Microsoft Office, Apple iWork, LibreOffice, OpenOffice, Hancom Hangul, ScanWritr documents, and JPEG, GIF, PNG, BMP bitmaps and scans. Click the Click here to select document button, then a new window will pop-up. 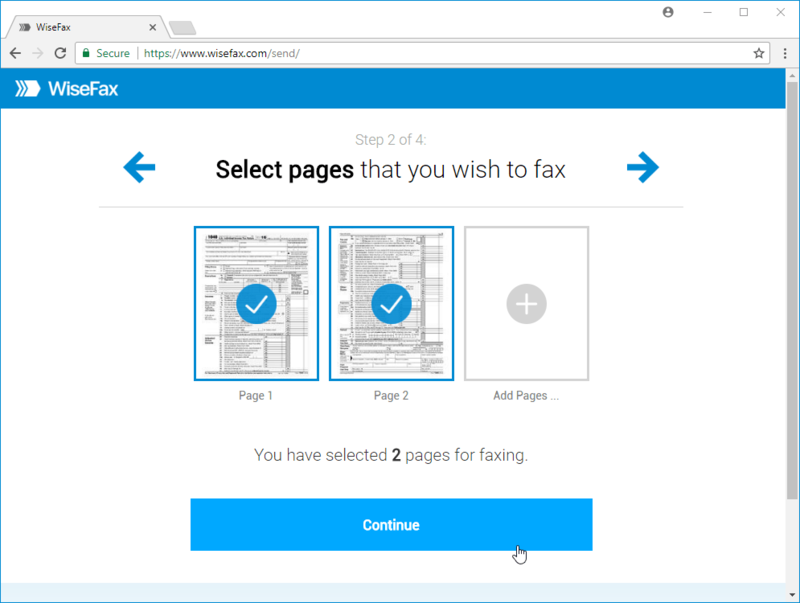 There you will be able to select the document that you want to fax.